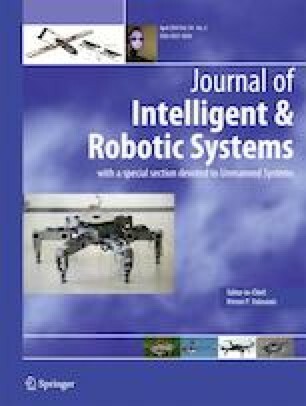 This study proposes integrating a manipulator point teaching system with an image processing technique and the iterative learning control (ILC) method, which features multiple points teaching and positioning processes that are easily operated, rapid, and accurate. First, a teaching device is used to manipulate the manipulator, which brings the teaching target into the field of view of camera. The speed up robust feature (SURF) is then used to define the target feature. Then random sample consensus (RANSAC) is used to estimate the homography matrix in order to obtain the center position of the target feature. Subsequently, the manipulator position control command is calculated by referring to the center position. In terms of the computational method, this study uses the ILC method and refers to the manipulator position control command and moving error during iterative computation. Finally, the optimum position control command converges to the manipulator teaching point such that the manipulator can execute automatic and accurate continuous motion according to this teaching point. The method was applied to screw holes and the results show that the average convergence in positioning error is 70%, while the average final positioning error value is less than 15 μm. The experimental results show that the manipulator point teaching system proposed in this study is feasible. This research was supported in part by the Ministry of Science and Technology, Taiwan, R.O.C., under Contract MOST104-2221-E-027-132 and MOST103-2218-E-009-027-MY2. The authors would like to thank representatives from the Motorcon Robotic Company for their beneficial discussions with the MOST project team.